I walk into the room where a female only luncheon is held, arriving 1 hour late. I felt bad that I was late, but then again I did stop for water and ice on the way over, which I knew was greatly needed. A former council woman speaks to the women present, the majority being female veterans. I quickly put down the cooler, and walked over to my colleagues. 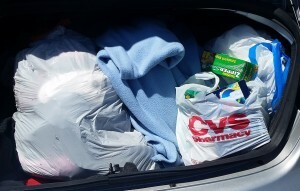 Below are some of the clothing items I brought, which were donated by a couple of our donors. Clothes set up on one of the tables inside the facility where we all met. 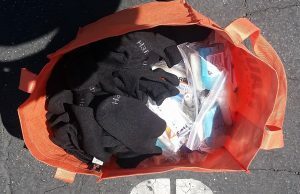 Care Bags (24) and socks for the women at the event. 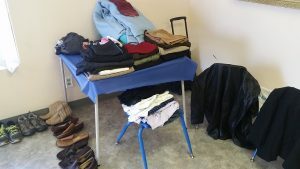 I find it interesting that CMP asks for clothes for our veterans while other nonprofits complain about getting too many clothes and not enough money. We know that the money will come when most needed, and that what the PEOPLE need NOW (not CMP) are items to keep them warm. 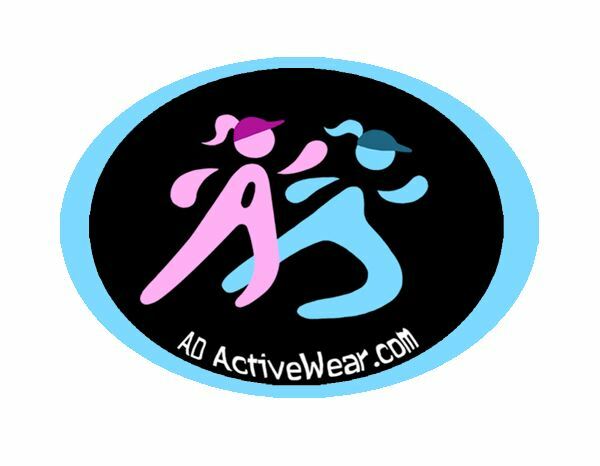 Underwear and socks are requested the most when it comes to clothing items. Deodorant and toothpaste/toothbrush come in high demand when providing Care Bags. We seek change, not charity. Help us to change the hearts and minds of others. Lack of affordable housing for single women and women with children. The VA hospital messed up on my surgery, now I can’t work and I only qualify for $280/m for disability. How am I supposed to live off that? How many vouchers are there currently for Veterans? What is the wait list like? There are only a few transitional housing options for women, and they’re crowded. For example, we have 6 women living in a 3 br house. Really, the best VA medical care is in Loma Linda, that’s over an hour from me? As I listen to their concerns, I can’t help but shake my head and hope people will help us help those who are struggling. I recently came up with a few options for housing program. I’ve mentioned them to other nonprofits and government planning committees, but no one really seems interested to solve this social epidemic called homelessness. I keep thinking, “How can I get these people interested in our cause if solving the issue will put them out of work?” If we haven’t figured out homelessness is big business for those politically involved, well then, we’re screwed. My goal is to house people; therefore, the huge amount of resources are no longer needed and those providing the resources will be out of a job. So, you want America to be strong again. Prove it! What do you plan to do to help those living in poverty? That’s right. 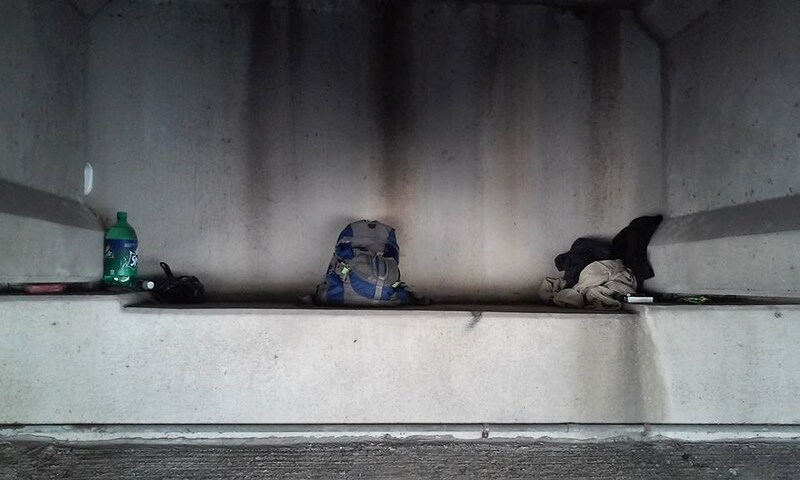 I’m not just talking about the homeless, I’m referring to all people who are living on or below the poverty line. We don’t need everything to be free, we need things to be fair. And FAIR, what does that mean anyways? Do you think everyone should have access to housing that is decent, healthy, and safe? This is America, we shouldn’t have shanties in our neighborhoods or tiny houses or tent cities…this doesn’t make any sense to me. We are NOT a third-world nation, we ARE one of the richest countries in the world, yet we can’t find a REAL solution to helping people when they are living on the streets, digging through dumpsters, and sleeping in a tent when they’re not camping? Tents are made for camping and hiking, not living in. 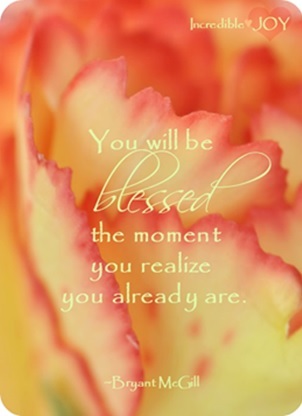 CMP has a plan to help all people struggling financially. We’ve chosen to help women Veterans and Youth first because they are the most under-served population right now. CMP would love to close shop because everyone is housed and healthy. Our closure would never happen though because we produce long-term and permanent solutions that require our assistance for one’s lifetime. 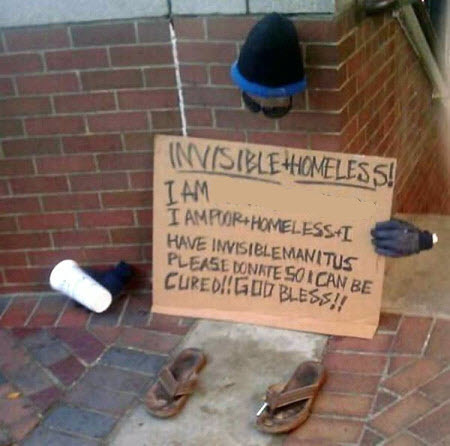 A lot of cities are stating that they have “no more homeless veterans”. Well, maybe not today, but this fight is not over. We need to realize that people need time to recover from homelessness before we say they are “helped”. We need to pay attention to those who have recently been placed because one wrong turn and it’ll be back on the streets for them. If you want to see any of our other programs, please contact us. Invest in your communities, invest in the future of this country, and most importantly invest in the people of this country. Support Operation Homes for Heroes. Special thanks to those who have donated goods, funds, and services to CMP. With their assistance, we can continue to serve those who need help. These corporations have chosen to invest in their communities.